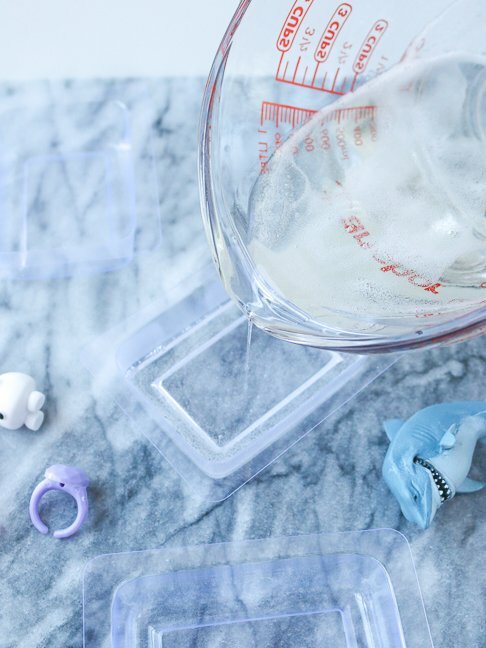 These fun and easy DIY surprise-inside soaps with small toys will make bath time a lot easier and hell of a lot more fun. 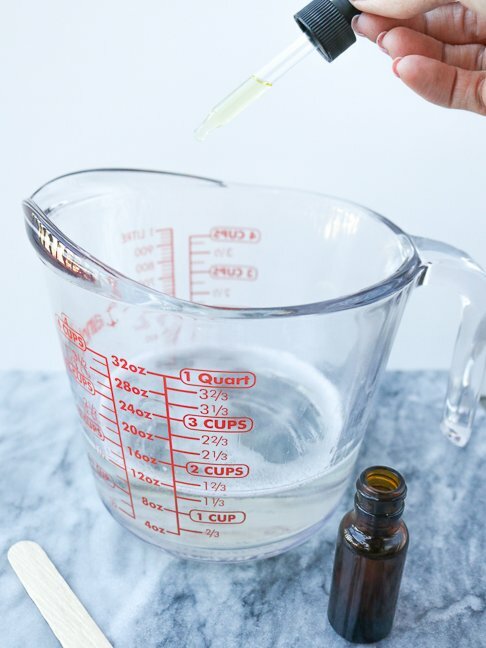 Mix in your favorite scents with a melt-and-pour glycerine-based soap and you’ll have clear soap bars that are ready in less than an hour. 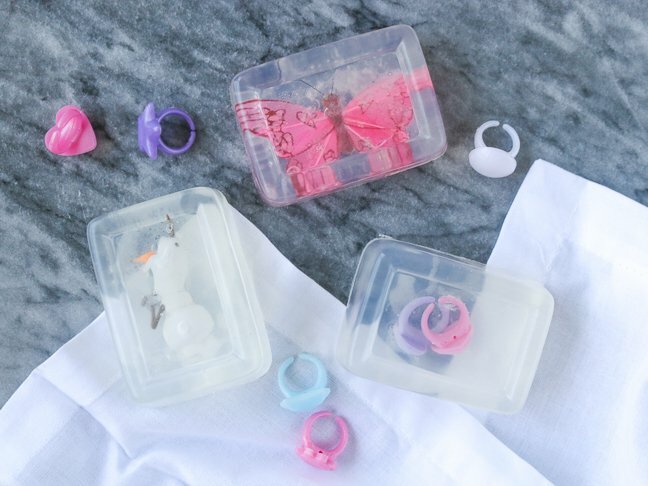 Try different shaped molds and all types of cheap small toys to surprise kids with a little reward just by getting clean. Because the more kids use them, the closer they are to getting the little surprise inside! 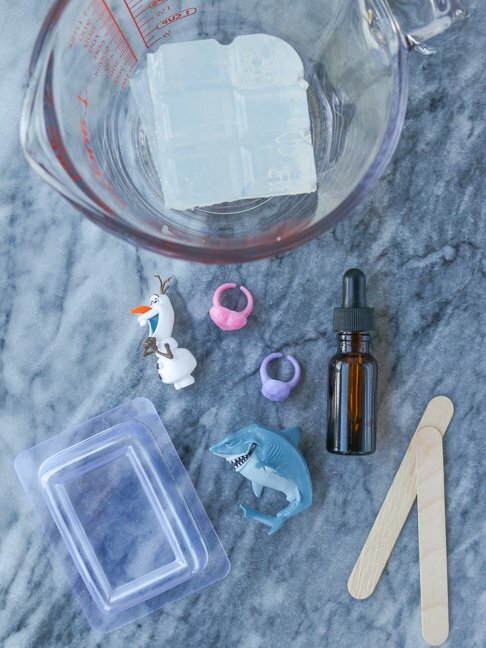 Ready to make your own DIY Surprise-Inspire Soaps? Follow these steps. *Check that the toy(s) will fit in the mold before making! Step 1: Cut off a section of melt-and-pour soap and place in a heat-safe container, such as a glass measuring cup. 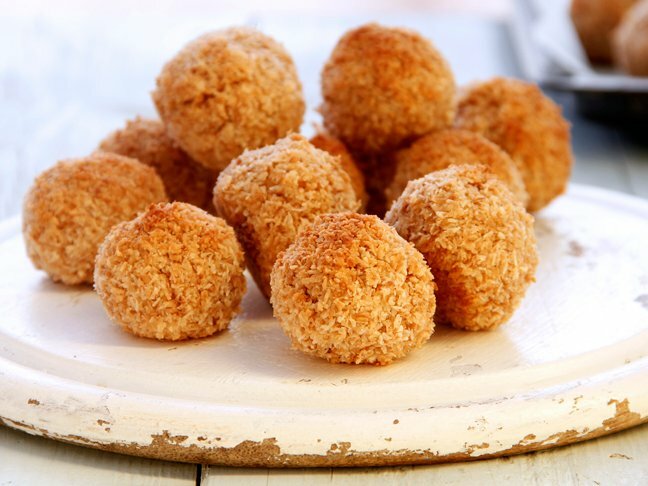 Melt in the microwave for 30 seconds, stir and heat again for an additional 30 seconds, repeating until completely melted. Step 2: Carefully remove the hot container and mix in a few drops of your desired scent and color. Note, the toys are easiest to see if the soap remains clear. Step 3: Pour melted soap into the mold, filling about half way. Allow to cool for about 3 minutes. Step 4: Insert toy(s), pressing down lightly into the soap layer. Top with remaining melted soap to completely fill the mold. Set aside to harden completely for about one hour. 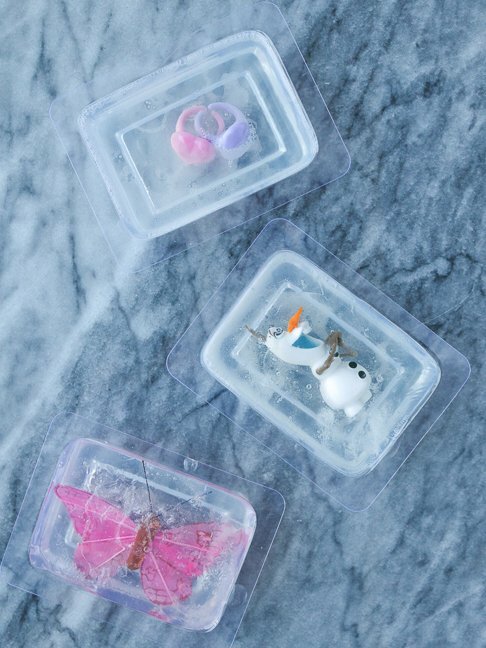 The soaps will remove very easily from the molds, and will dissolve over multiple uses to eventually reveal the toys inside. Store in a cool place, wrapped in plastic wrap or a plastic bag. 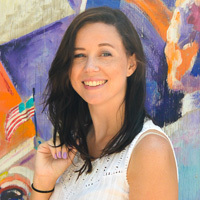 Holly Wade is the content creator and editor behind the DIY, food and lifestyle blog Club Crafted. Started in 2016, Club Crafted is devoted to sharing fun, colorful ideas for creating a happy, handmade life with easy-to-follow project tutorials and recipes. When she’s not blogging, Holly is a professional marketer and freelance writer living in sunny Southern California with two spoiled cats. You can find Holly across Pinterest, Instagram, Twitter and Facebook @clubcrafted.